Gadgets Apps Hacks: Chromebook / Aw, Snap! I've written about all the things I love about my Chromebook before, so I'm not going to rehash that. The only thing I want to emphasize is that I'm totally sold on the concept of a device that is a browser. 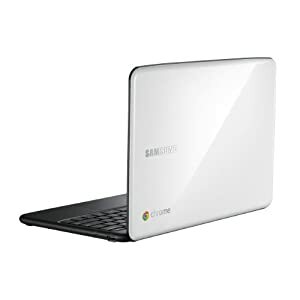 My objections to the Samsung Series 5 3G Chromebook are not ones in principal. They are to do with the execution. Bottom line: the device crashes too often. Being greeted by "Aw, Snap!" seemed so cute when it happened once a month browsing Chrome on my Windows laptop. After 3 months of it happening 10 or more times a day, it's a little less cute. 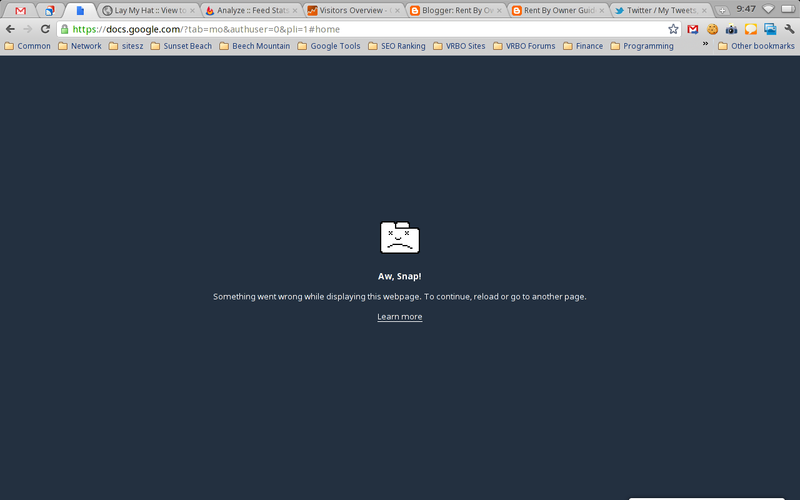 And having all my tabs crash and disappear - which happens about once a day - is decidedly less cute. Best case this turns out to be a ChromeOS problem which is fixed in a subsequent update. For the record I'm currently running the latest stable build 14.0.835.204. But it has been happening since I first got this device, and with every update that I've had since. My guess is that the hardware is simply underpowered. I rarely watch videos or play games or listen to music (the speakers on this Chromebook are terrible). My most common uses are reading email (gmail), reading rss (google reader) and blogging (blogger). You would think this makes me an ideal user in the sweet spot for the Google Chromebook. I also found it a little irritating that for 2 weeks the New Tab on my Chromebook ran an advert at the top of the page suggesting that I might like a Chromebook. 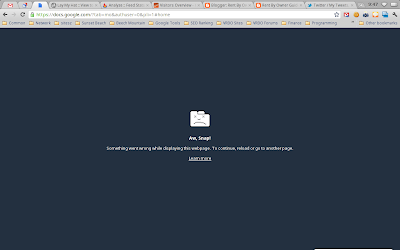 I tried to take a screenshot of this, but the Chromebook doesn't let you sceenshot the New Tab. I hope that the Chromebook is a financial success. At least so that Samsung, Acer or others produce a better model in future. I completely and utterly agree, I own a Chromebook myself (Acer) and have never had so many crashes in my life with any other computer or operating system, it is a disaster. I do hope in the future they put a little more effort into this specific problem. Here we sit three years later and I'm reading this article because I'm having the same problem. I open a few tabs, and when I go back to one it's 50/50 that it has croaked. I'm on build 45.0.2454.86. We're on to our 3rd Chromebook, and as each have become more powerful this problem seems to happen less frequently. Also I think you just get used to the fact that you can't have too many tabs open. That's just one of the trade-offs for a lightweight inexpensive laptop which can run all day on a single charge.